Venus Smileygal: My First Mani and Pedi of the Year! My First Mani and Pedi of the Year! The title was supposed to be my last mani and pedi of the year but due to a busy days last December I was not able to treat myself for a mani and pedi before welcoming the new year. However thats alright because nothing compare to the feeling that I have a fulfilling reason to end my 2011 with a bang. Along with my CDObloggers group we distributed media noche packs for affected families of typhoon Sendong... We finished already late that I had to hurry to prepare for our media noche at home that I didn't have time to go to the salon and treat myself a beauty treat. And so instead I started my year with mani and pedi first on the list of my to-do's. 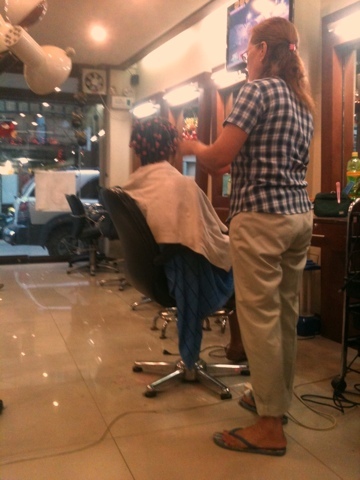 Nikki Salon & Spa... This is the 4th Salon Ive been today until I finally had my nails clean. A lot of Salon has no manicurista available and some had manpower shortage that you need to wait for long until your turn. They say most of there manicurista are still on vacation and others are coping up because they are flooded. 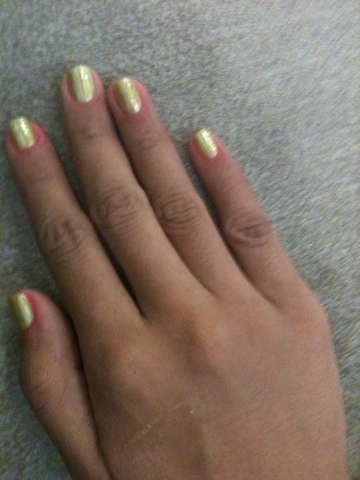 Since its a new manicurista, I got myself wounded. 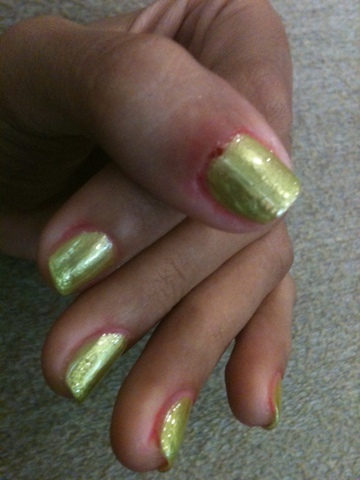 This often happens when I had a manicurista cleaning my finger nails. Such a sensitive fingers! See that one below? That's because my feet haven't been clean for 2-3 weeks, I think. 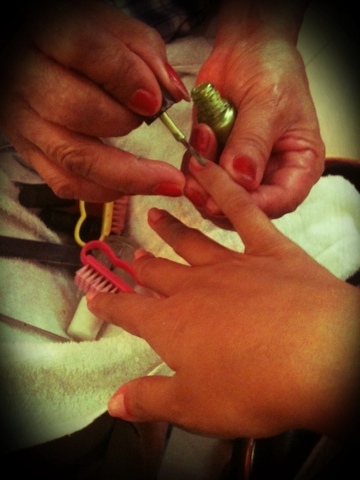 The home service manicurista haven't drop by the house followed by days coping up with sendong wrath and also got sick. Infairness I like the way she clean my toe nails.